No matter how healthful the foods we eat, how frequently we exercise or how much we sleep, everyone’s cells gradually undergo an ageing process. Over the decades, we’ve learned a lot about the added benefits of a proper nutrition and an active lifestyle. Still, adjunctive therapies to support healthy cell function are always of pivotal interest. From birth, our cells begin to age. Even though we create new cells every day, cell decline is an irreversible process. By age thirty, those symptoms begin to show up as thinning of the skin, fine wrinkles, age spots, and generalized aches and pains. “I already know this,” you might say? Well, did you know that a contribution to premature aging is caused by diminished oxygen uptake? Oxygen is a vital source of life itself. Arguably, Oxygen is the most vital fuel and nutrient for the human body. Think about it. We all can survive days without food or water. But, within only a few seconds without the life-sustaining power of Oxygen, we’re done for! Oxygen feeds the body, supports the immune system, removes toxic substances and most importantly, promotes new cell growth. Insufficient oxygen affects the well being of many people today by being the prime cause of illnesses and issues such and premature aging. At Guyer Institute, our Synergy Spa offers Hyperbaric Oxygen Therapy (HBOT) treatments, using the healing power of oxygen to rejuvenate our cellular energy. In fact some recent data has shown that treatments with Hyperbaric Oxygen can even enhance our bodies production of Stem cells. HBOT bathes the cells in your body with oxygen. 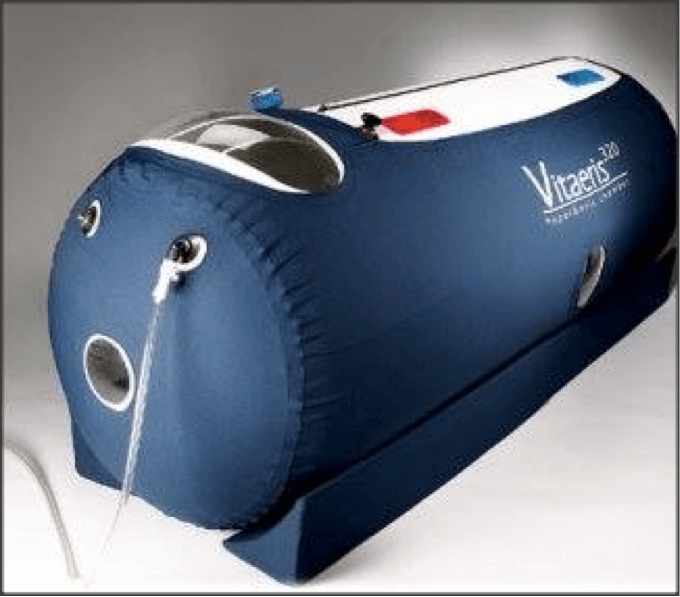 Because a Hyperbaric Oxygen Therapy chamber is pressurized, oxygen easily enters into every tissue of the body. The superficial capillary beds get “supersaturated” with oxygen. This is one reason why HBOT directly encourages overall cellular health and can help you feel energized. Hyperbaric oxygen therapy is an outstanding all-natural therapy with no side effects that can help you feel your best! It promotes increased collagen and elastin production to renew states of fatigue. Treatments are about one hour long and are generally relaxing. Most people rest well and then feel energized after a session. Isn’t it time you let HBOT put the energy of oxygen to work for you?